The production of things, already distant from daily life, can seem a more remote reality than it is. Objects of high technology seem to be embroiled in a bifurcating world of mysterious production processes and unfamiliar social and geographic landscapes. Perhaps because of this distance, I often find myself returning to the production of simpler things. This is a superficial simplicity. A single garment has a production line that spans vast geographies and deploys sophisticated technical processes. These pieces of linen and cloth have a bodily nature that makes them seem closer to us in a way that belies the far-flung reaches of their production lines. But these textiles, garments, and fabrics are themselves set in the fabric of a global production network. 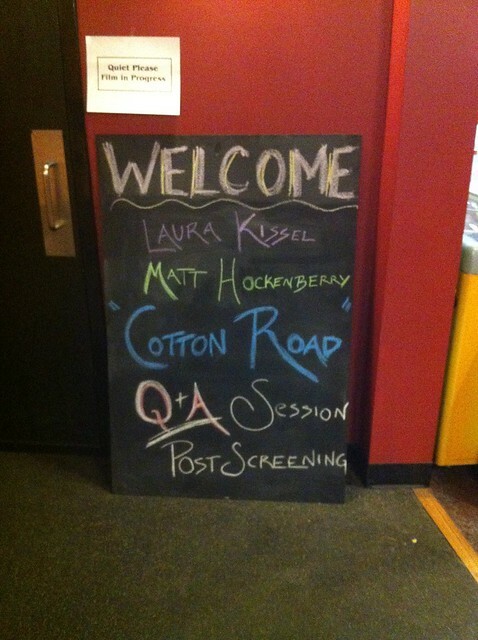 Cotton Road is a documentary project that attempts to unravel this network. A travelogue for the 21st century, Cotton Road is a documentary about the workers who make possible cotton’s global flows and the industrial landscapes that are the backdrop to their experience. It visualizes work normally hidden from view, such as the ginning of cotton and the dying of yarn. 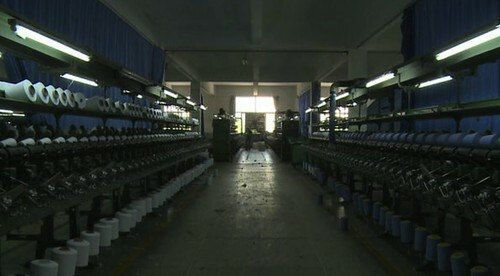 Cotton Road travels from family farms in South Carolina to a burgeoning Chinese city of 20 million people to tell a story about globalized labor, weaving a portrait of the work and workers we never see and the products that they make. >It is human labor and consumption that connects us to one another, and yet we remain estranged from the very processes of production and the people who make our things. Through this exploration, Laura’s project complicates stories of production by defying the constrained narrative of the garment’s tag. Rather than reduce the interplay of cultures, nationalities, and productions to a singular narrative of “made in,” Cotton Road recalls the connections that are lost by the simplified geography of the label. I’ve been seeing bits and pieces of the film, some of which will be part of the narrative on screen and some may only appear in the sourcemap. Here the sourcemap can preserve the full spectrum of Laura’s ethnographic work and the countless fibers she had to pull in her process of production. This entry was posted in Writing and tagged china, cottonroad, documentary, ethnography, sourcemap. Bookmark the permalink.